7 drops of vanilla stevia (can use less stevia or consider using more honey or maple syrup instead. Date Puree is another option. Taste the mixture and know that once it is frozen it will taste less sweet. Adjust sweetness if needed. 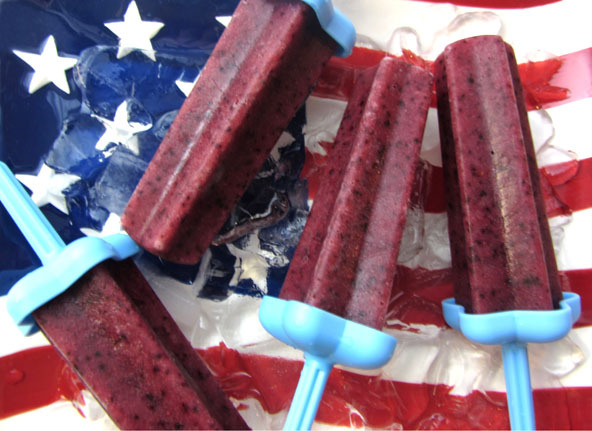 Pour mixture into the popsicle molds leaving ¼ inch to the top to allow for expansion from freezing. Place into the freezer for six plus hours until hard.